All Progressives Congress , Edo State chapter has assured the people of the state that President Mohammadu Buhari does not believe in electoral fraud and will therefore not help anyone to rig election no matter his stake in the contest . Comrade Godwin Erhahon , State Publicity Secretary said Leaders of All Progressives Congress in Edo State should therefore humble themselves and work hard sincerely if they truly hope to win September 10, 2016 governorship election. 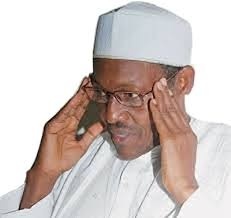 The State Publicity Secretary of the Party gave the assurance in reaction to an appeal made to President Buhari by PDP leadership at a rally in Auchi that the President should allow level playing field for all parties. Comrade Erhahon therefore advised the gold-diggers in APC who are refusing to make peace with those they maliciously and viciously offended during the intrigues that proceeded the June 18, primaries, hoping ignorantly that incumbency factor at federal level would sail them through. “As one who has been with President Buhari since the beginning of his political struggle in 2003, I can vouch for him that his anti-corruption fight is not hypocritical. “He will never encourage electoral fraud nor push EFCC against anyone. Even as a popular but poor Presidential candidate of CPC in 2011, President Buhari rejected donations from some of his well-wishers whose source of income he didn’t trust. “Likewise, let no one think that the outcome of the forthcoming election will make or mar Chief John Odigie-Oyegun as National Chairman as it is now known to all that he is completely sidelined and snubbed in the entire process. “There are signs already that the Binis who are his home community with about fifty-three percent of voters in the State may not allow him take part in the campaign for those who derive pressures in pulling down Benin leaders. “The only solution is for President Buhari himself to intercede and pacify the people of the great Benin Kingdom before it is too late. The President should not expect mad men to heal themselves."